What is Soft Mobility? Sustainable, climate-friendly and easy on the environment while moving about in the outdoors – that’s what we call soft mobility. It is our goal to lay the groundwork so that you can enjoy your activities without using your car and still stay fully mobile. 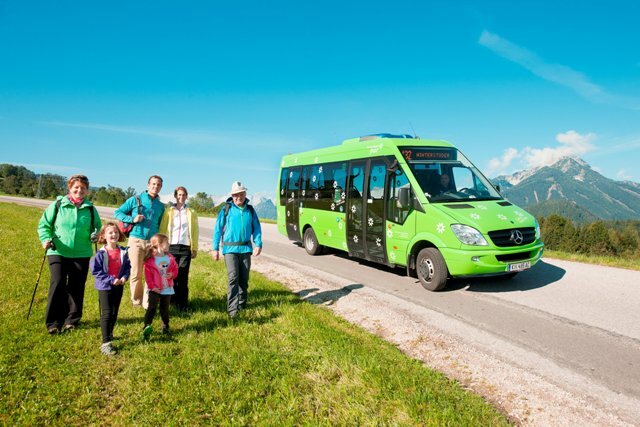 In our Alpine Pearls, soft mobility is guaranteed: Take the bus and/or train to travel to your destination without the stress of driving. Enjoy your stay here with many different environmentally friendly mobility services and recreational offers. To make sure you can get your rest & relaxation, our Pearls turned certain areas into car-free or low-traffic zones. Take your time to explore the streets and alleys of the villages and towns – by foot or electric bicycle. Enjoy the mountains on a traditional hike, on horseback or, even more actively, on a bicycle or mountain bike. This is an absolute win-win situation for you and for the environment. You help preserve precious natural treasures while experiencing the most beautiful days of the year in a conscious, stress-free manner. 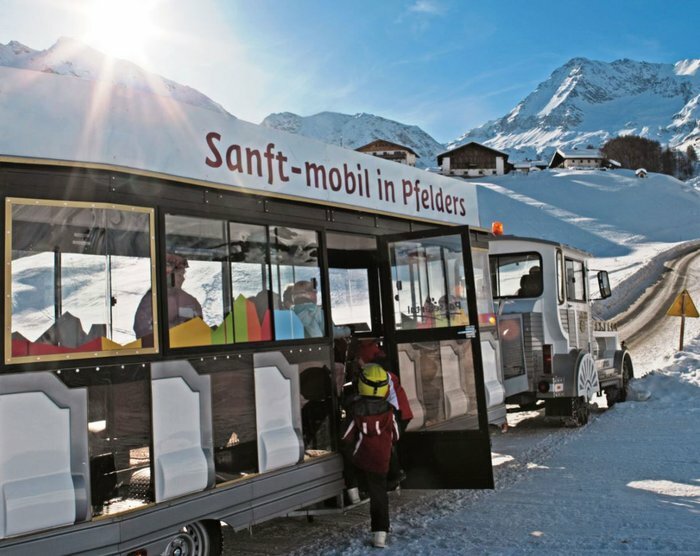 This is the absolute best way to get to your Alpine Pearls lodging: train and/or long-distance bus services. Let someone else do the driving and forget about the stress and traffic jams on the roads. Lean back and enjoy the spectacular views of the landscape rolling by. There is so much to discover already – mind you, you’re travelling to the most beautiful villages of the Alps. Protecting the environment and going easy on the climate is one thing! An extra bonus is the trip itself. On some of the most spectacular routes, even the trip itself can become an unforgettable adventure. The tourism agency of the Alpine Pearls is happy to plan your entire car-free trip for you. All you need to do is board the train and watch the world go by. And of course, we’ll assist you every step of the way from the time you start planning to the time you are picked up at your destination train station. Have a great trip. You deserve it! Enjoy your Alp adventure in exciting, fresh new ways. Our Alpine Pearl villages made it their goal to offer you supreme services for a holiday without your car. Every Pearl features its own climate-friendly mobility concept consisting of easy train/bus connections, transfer from the train station to the hotel and car-free or low-traffic zones. Excellent mobility services (shuttle bus, hikers’ and local bus, taxicab service and ski bus) take you to any destination your heart desires, such as inns, restaurants, museums, trailheads and tourist attractions. To complete the mobility programme, our Pearls provide rental options for bicycles, e-bikes, mountain bikes, Segways, and many more. Mobility cards offer many free services plus discounts on events to make your holiday a delightful, affordable experience. Our specialized hotels/guesthouses, the “Alpine Pearl hosts”, are the experts when it comes to helping you plan your softly mobile holiday in your very own Pearl of the Alps.